"...right back to his best when an all-the-way winner at Wexford in July and he's back in a handicap on a very fair mark." Edessann is bred to be smart and made a most promising start to his career when third in a Gowran maiden in August. He was just over 2 lengths behind South Pacific that day, but may well improve past that rival now faced with a stiffer test. South Pacific subsequently failed to land the odds at the same course, but nevertheless merits the utmost respect, while Sacchoandvanzetti also has claims. Aussie Valentine is still in good form and probably should have finished closer at the Curragh last time. Back at the scene of his last win he can strike again. Turbine and Alcatraz are a couple of the likely dangers. Dan's Dream was flying too high in the Matron Stakes last time, but this is a more realistic assignment and she is worth chancing with conditions in her favour. Imaging remains with potential and is not passed over at all lightly, while Psychedelic Funk has to be feared. Smash Williams shouldn't be far away either and Chief Ironside also needs a mention in what looks a competitive heat. Wicklow Brave is clearly in good heart, winning 3 on the bounce on the Flat prior to coasting home in a minor event back in this sphere at Listowel last month. If again on-song he will prove a tough nut to crack, despite conceding weight all round. Arctic Fire did the job well at Cork last time, but he looks vulnerable back at this trip and the selection may have most to fear from Tombstone. Quick Grabim looked a lot more polished when winning at Listowel and makes plenty of appeal with a good chance he has a lot more to offer. 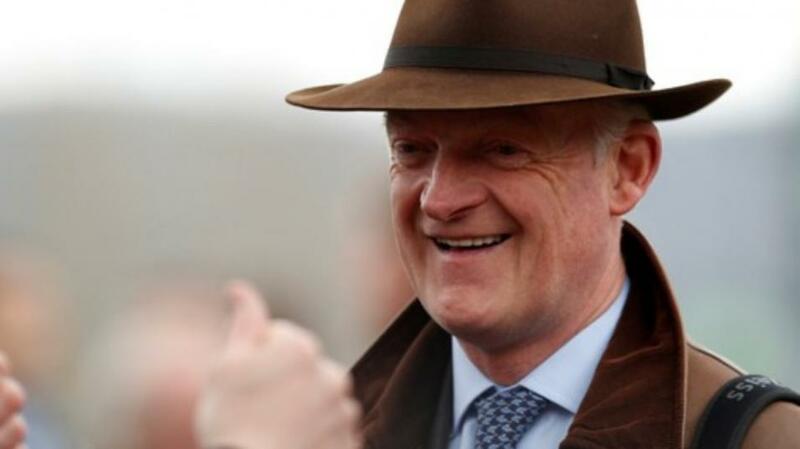 The other Willie Mullins' runners Easy Game and Dorrells Pierji have likeable profiles also. Competitive stuff, but Play The Part was right back to his best when an all-the-way winner at Wexford in July and he's back in a handicap on a very fair mark. Minella Times is open to progress but looks in need of a stiffer test of stamina, so Stooshie is feared most. Camelia de Cotte has quickly surpassed her hurdles form over fences, socring with a bit up her sleeved at Listowel a month ago and shes is taken to overcome this rise in class and remain unbeaten as a chaser. Le Richebourg and Robin des Foret (a stablemate of the selection) are feared most. No surprise were this fought out by previous winners Royal Rendezvous and Kalum River. Both have achieved a similar level so far but the former is expected to go on progressing, so he receives the vote.